Paint . . . nice and dry, just the way we like it! Single wrapped rim and kicked in bottom. The bottom of the basket on the outside is reinforced so the basket does not sit on its bottom, but on the coil. 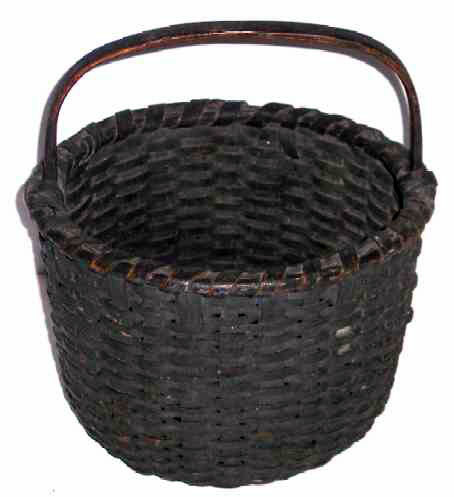 The carved and notched handle extends down practically to the bottom of the basket making it very sturdy. 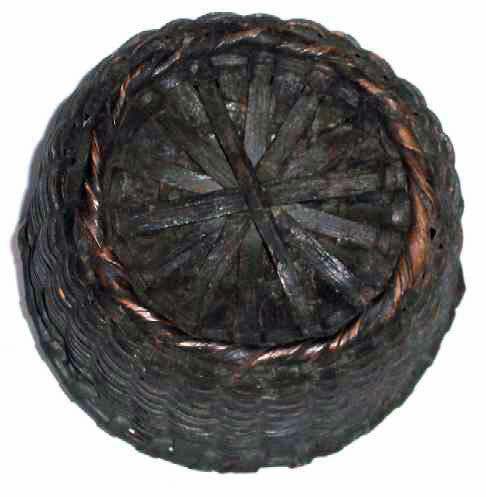 While this beautifully made basket shows appropriate wear due to age and usage, the paint is 99.9% intact with expected minor wear to the bottom coil, the rim and the handle. It is drop dead gorgeous! Dimensions are 6-1/2" high (10 inches to the top of the handle) and 9" in diameter. The proportions are perfect!